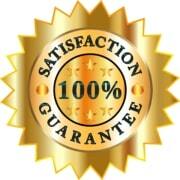 AT LAST, A COMPANY THAT PROVIDES A VIDEO PRODUCTION GUARANTEE! How in the world can any company offer a video production GUARANTEE of satisfaction on their custom work? Good question! After all, you sure don’t see that offer from other video or multimedia production companies you might deal with, do you? We become your PARTNERS in the project, totally invested in YOUR success. From the beginning, we sit down with you to determine just what your goals are for the production: what it should accomplish, how it will work with other aspects of the project, how it will be implemented. And we know that no video or multimedia piece can ever accomplish meaningful results by just sitting there, so we work with you to determine how to present it to its intended audience. We focus an MBA perspective with 35+ years of experience in the field to zero in on what results can be reasonably expected. This experience is not only in producing quality award-winning videos, but in a huge variety of business videos as well, from non-profit to high tech and from sales and marketing to training and communications. But let’s be honest — rarely are video and multimedia projects used in isolation. More commonly the production will be used in conjunction with other materials or presentations to achieve a desired result. Because of our extensive business and communications experience, we work WITH you to integrate the various inputs, including video or multimedia. We help you look STRATEGICALLY at the BIG PICTURE, then get down to the fine TACTICAL details. After all, we can stockpile all the video production awards in the world (and we have more than our share of awards), but what good does it do if the video just looks pretty and accomplishes nothing? Gone are the days when organizations could afford the luxury of warm and fuzzy programs. Your video dollars are an INVESTMENT, and we want to join you to gain a favorable return on that investment. During the exploratory process, we map out a series of goals and benchmarks. We commit to developing the production to meet your bottom-line goals — for example, to increase sales revenue, or perhaps lowered costs through training. If the goal is harder to quantify, we may measure other desirable results, such as improved employee attitudes, increased program awareness, or more visitors to a trade show booth, to name a few. Our commitment to you — if you don’t feel that we did our job to provide you with a worthwhile return on investment, DON’T PAY! Try getting that video production guarantee from another video company. Frankly, because we will depend on one another for those results, we do not accept all projects. 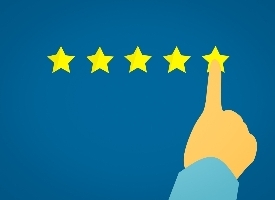 After reviewing your needs, we may recommend that video or multimedia are not the ways to bring results to your bottom line for a particular application. But it costs absolutely nothing to find out — NO RISK AT ALL. Contact us today to get a complimentary assessment of your project. Together we’ll look at being your teammate in your success. And we’re certain that you will never have call to use that video production guarantee. It’s tough to get an independent and unbiased video production recommendation. But here is some good news if you’re looking for an honest evaluation. A while back we were evaluated by an independent business auditing service. The goal was to measure – in an objective manner – how well we were meeting our clients’ needs. In addition, we wanted to be able to share this unbiased evaluation with potential clients. After all, we can brag about ourselves all we want, but to have a truly independent video production recommendation for our service is much more valuable to prospective clients. Upon completion, subject companies such that met the tough criteria would receive a certification from that independent agency. To be certified, a supplier had to submit a list of all clients they’ve had over the past to an independent research group based at California State University, San Francisco. These researchers contacted a large sample of our clients to judge customer satisfaction. We earned a glowing video production recommendation. In the most recent survey, Penrose Productions received a 100% satisfaction rating. Our commitment to you is to keep it that way! For further independent video production recommendations, see Yelp and Google Reviews. For further video production recommendations that have been directly sent to us, see our Testimonials Page. Penrose Productions serves clients in San Francisco, San Jose, Los Altos, Mountain View, Sunnyvale, Palo Alto, Santa Clara and Silicon Valley in California.